Our refurbished Intermec 4420 EasyCoder is a high capacity industrial strength printer based on the field proven EasyCoder 34XX series. The new industrial metallic gray color fits into a wide variety of application settings. Contact us today about buying, servicing, renting or selling Intermec 4420 gear! 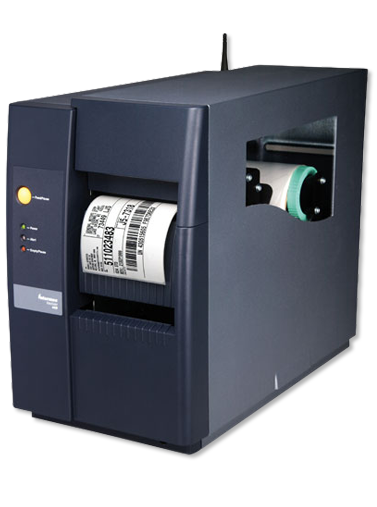 Our refurbished Intermec 4420 EasyCoder features a ten inch per second print speed. The design allows for a full 8” diameter roll of media and 450 m (18,000”) ribbon to maximize operator productivity. When equipped with the optional internal self strip and full roll batch take-up the refurbished Intermec 4420 can print and rewind a full 8” diameter media roll. Contact us today about buying, servicing, renting or selling Intermec 4420 gear!